With plenty of UNESCO sites in Andalucia to visit and 45 UNESCO World Heritage sites in Spain. So far I managed to visit half of them. 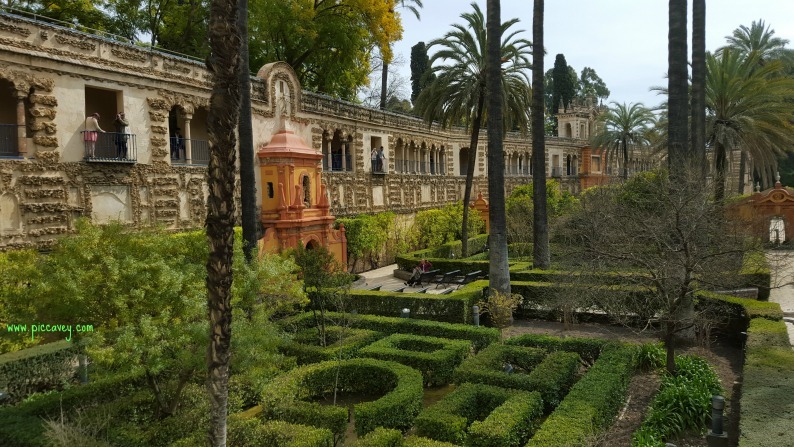 Here are my tips on visiting the UNESCO sites in Andalucia. Two historic towns in Jaen province with many historic buildings in the Renaissance Style. After Florence, Italy, these monuments are the next most important example of this architectural style in the world. 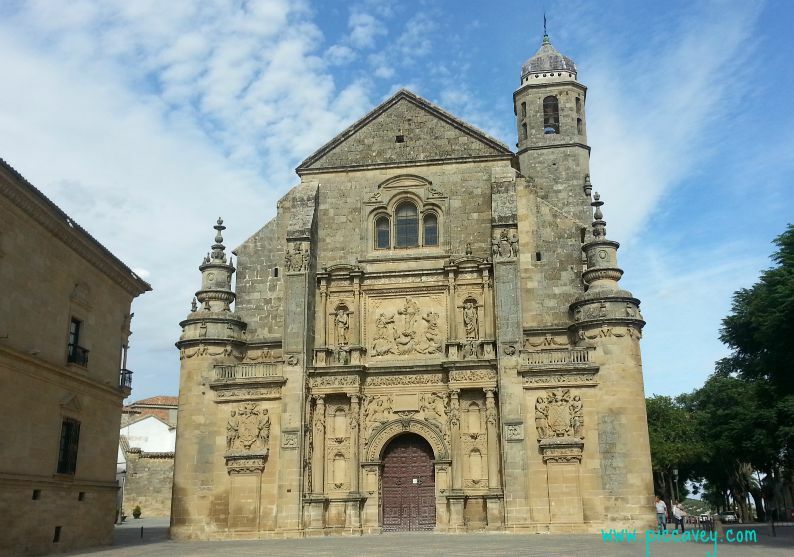 In Ubeda and Baeza there is a train which takes you on a guided tour of the main sights. This is a good option especially on hot days. I would suggest one day in each location to be able to see it all. The Alhambra palace is the palatial city overlooking the city of Granada. This was built upon continually from the 10th century and up until 18th century. This is a fabulous example of Moorish architecture, the best in Europe. The Generalife is part of the Alhambra complex. This summer palace is set in lush gardens dotted with fountains and ponds. The Albayzin is the old town opposite the Alhambra palace. A medieval Moorish neighbourhood with its distinctive white washed houses, narrow and stepped streets. 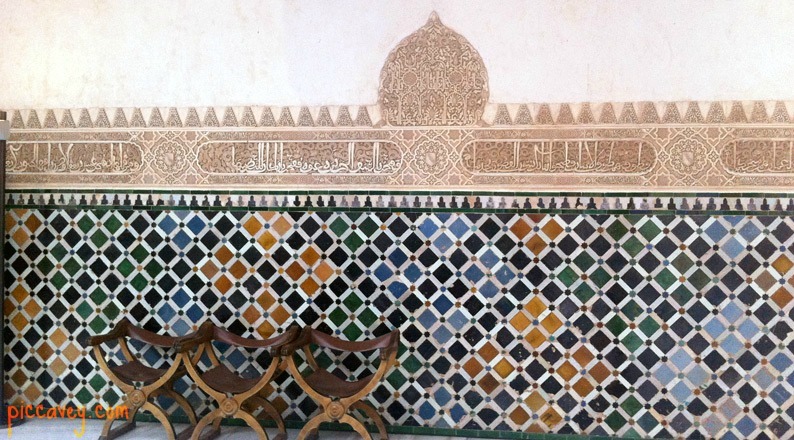 One of the oldest examples of Muslim culture in Granada. 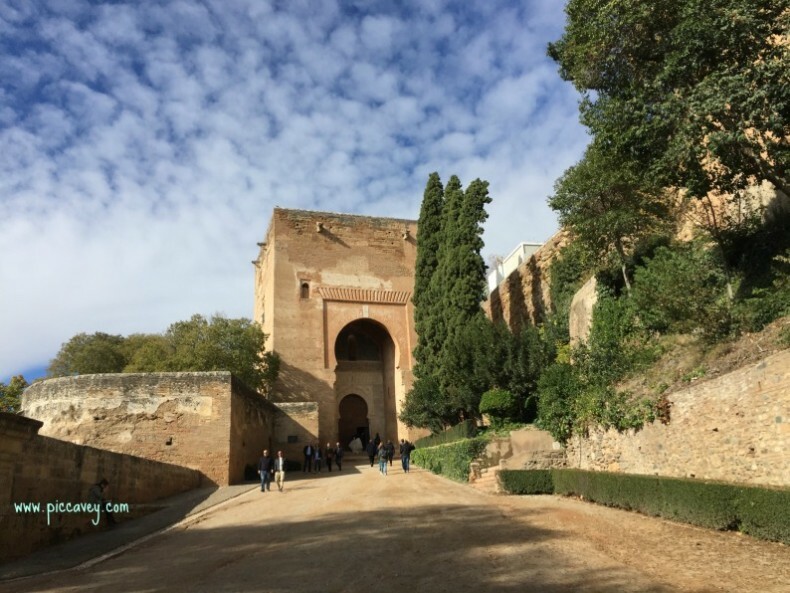 How to visit the Alhambra palace? To visit the Alhambra palace you need to book as early as you can (6-7 weeks ahead of your visit). Wear comfortable shoes and allow 4 hours for your daytime visit. When did I visit: Ongoing. I live in Granada, Spain. Insider tip: The Palacio de Carlos V and Alhambra museum are free to go inside and are open to visit daily. 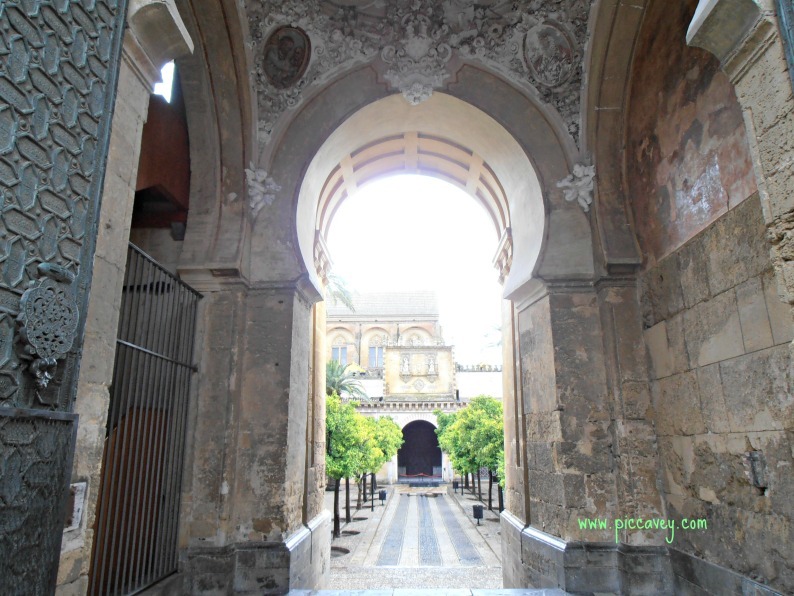 The Cathedral Mosque, Roman Bridge and historic streets of the city in Cordoba. This was the capital of the Islamic Emirate and also the Caliphate of Córdoba (in 1000 AD). The Calipahate included most of the Iberian Peninsula. It the city in the world with the largest population in 11th century. To visit the Cathedral-Mosque allow 3 hours for your visit. 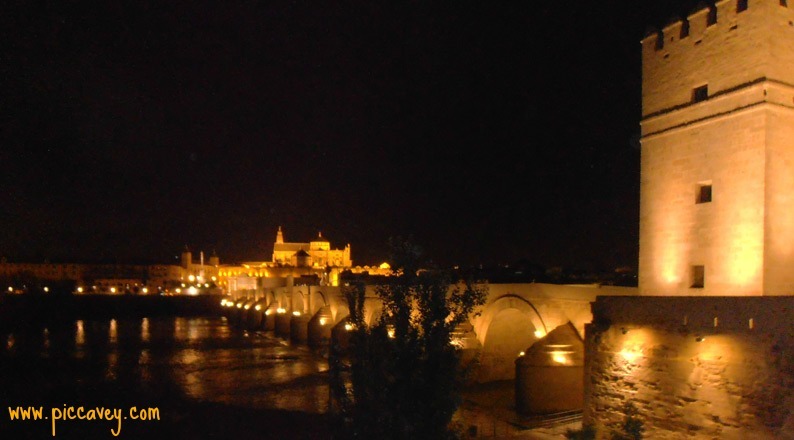 I recommend two days in Cordoba. Allowing time to visit the main monuments. 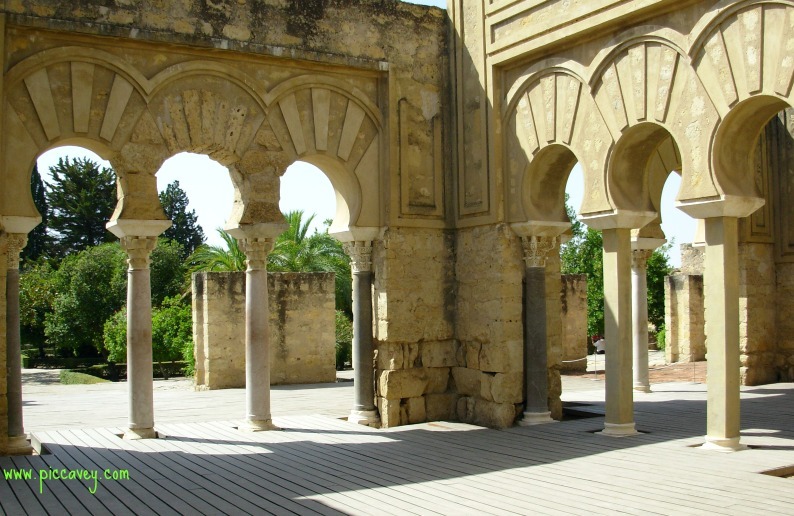 It´s also worthwhile to visit the patios of Cordoba which are typical. Summertime temperatures are extremely high it may be preferable to avoid July and August. Three monuments in the historic quarter of Seville. 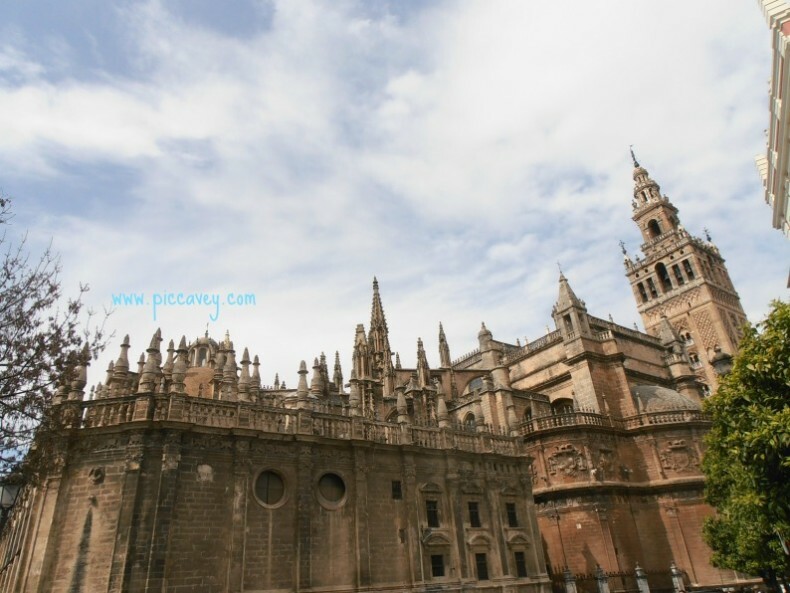 The Cathedral with its iconic Giralda belltower which towers over the city. 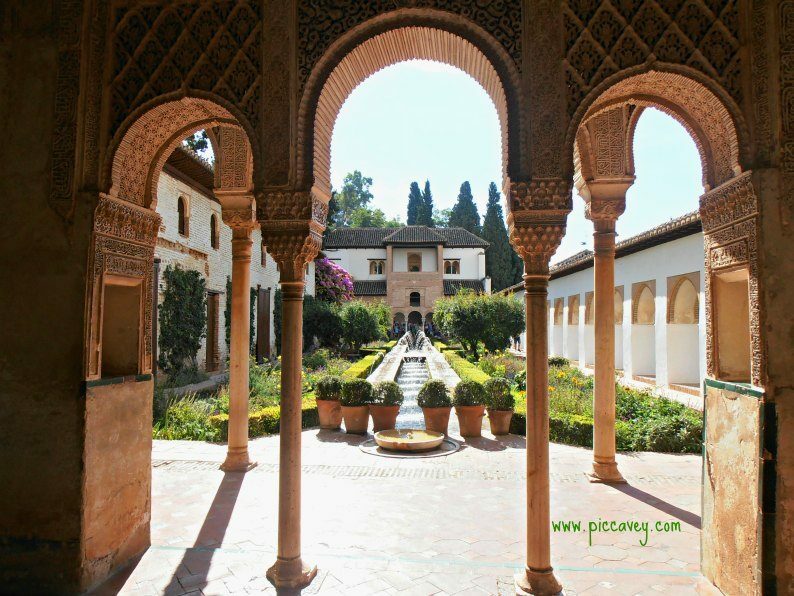 The Alcazar is a Royal Palace with beautiful Moorish architecture and lush gardens. The Archivo de Indias is a large building opposite Seville Cathedral. This is where the ships crew came to document all their finds and log their journeys. This archive is of great historic importance. Seville Cathedral, get an entrance ticket on the door or click here to book online tickets for the Alcazar ahead of your visit. Allow 2 hours for your visit. If you intend to walk up the tower do remember wear comfortable shoes. There are no steps but steep ramps going up. The Alcazar entrance is at the Lions Gate and tickets can be bought at the entrance or online if preferred. Allow 3-4 hours for the visit. Many of the areas of the Alcazar are outdoors, remember to wear suncream according to the weather. Archivo de Indias. At the entrance there is a airport style security check although it is free to go inside. Allow 1 hour-90 mins to visit the monument. This Natural Park in western Andalucía is in Seville and Huelva province. The biodiversity of this park is unique in Europe. Local fauna includes the Spanish imperial eagle and the Iberian lynx. Popular with birdwatchers and nature enthusiasts. Start at Acebuche where the main visitors centre is located. Here they have information to plan your visit and the trails into the park leave from this point. 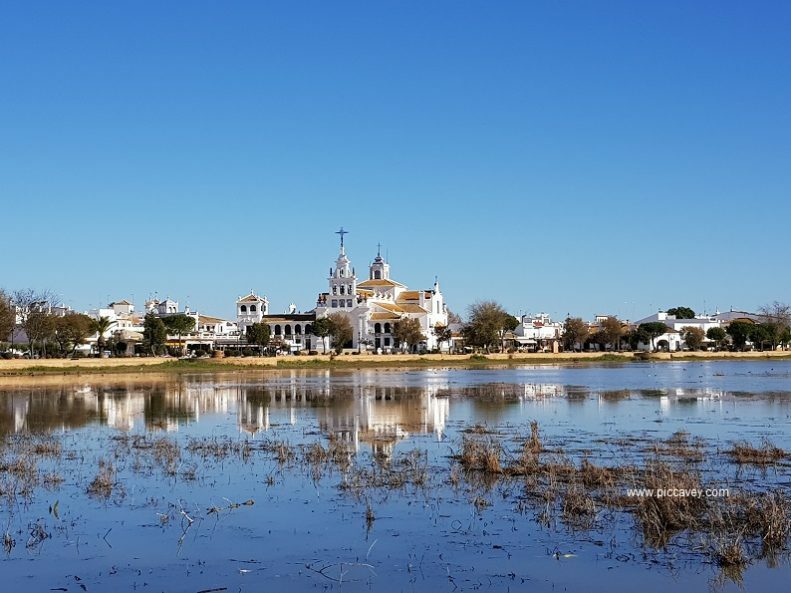 Tours in 4×4 also leave from El Rocio. Declared UNESCO sites in Andalucia last year, these three sites are located in the centre of the region in Malaga province. What is it? 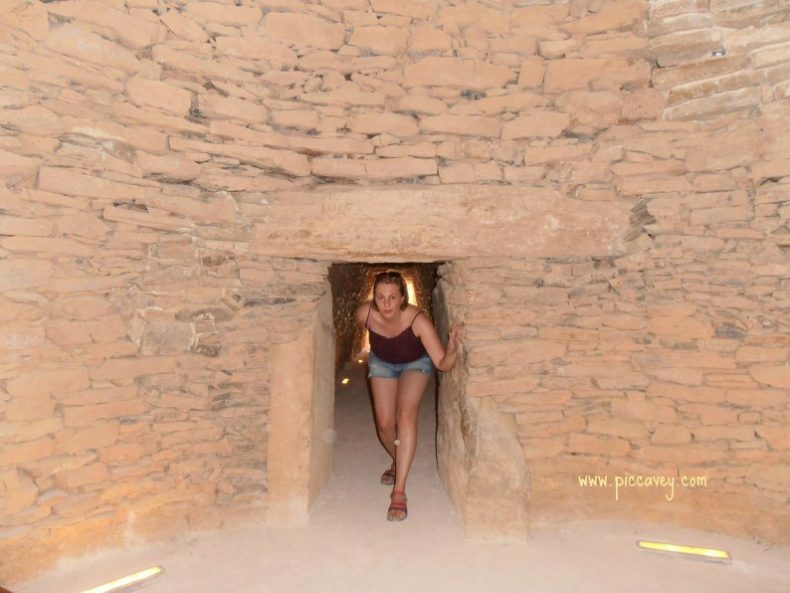 The Dolmens of Menga, Viera and Romeral are three ancient megalithic structures located in the countryside close to the town of Antequera. El Torcal is an interesting karst landscapes with unusual shaped formations. The Dolmens of Menga and Viera are located on one site and El Romeral is on the other side of the town but has some signs to be able to get there by car. The small visitor centre is worth visiting first to get information on how to visit the Romeral site if directions are needed. El Torcal. The best way to visit this Natural park is by taking a hike along one of the routes or taking the guided tour. or email: reservas@torcaldeantequera.com Open 10am to 5pm in winter and til 7pm in summertime. You can also take this Daytrip leaving from Malaga city. 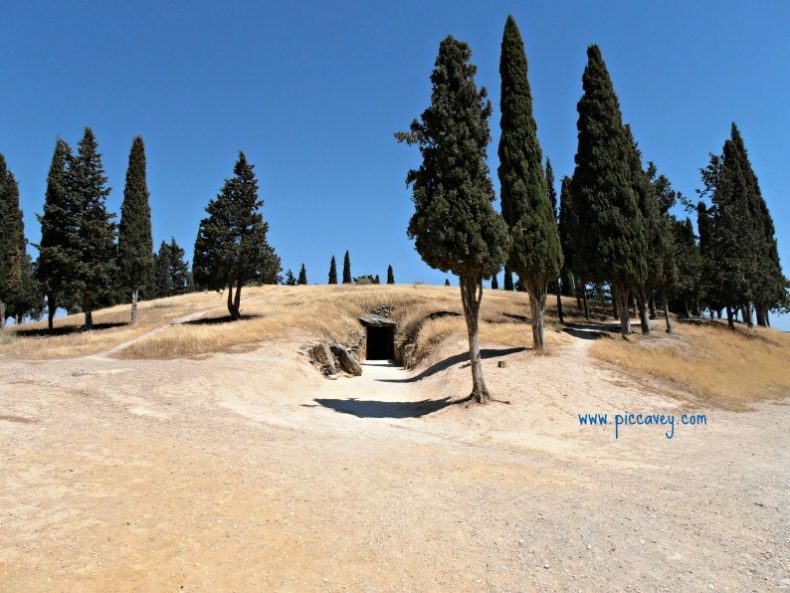 This site is proposed to be a new addition to the 6 UNESCO sites in Andalucia. If so it would certainly be one of the most impressive considering that a great part of it is still underground and has not yet been excavated. Although Spain already has its fair share of UNESCO sites, there are still some amazing places which aren´t on the list. Amongst the UNESCO sites in Andalucia one candidate is on the waiting list. It could be included soon and is a personal favourite of mine. It may be worthwhile visiting them before the rush. The Alpujarras. Berber villages in the Sierra Nevada N.P, South of Granada and to the East of Almeria. These typical white villages have a traditional construction with slate roofs and chimney stacks. The area is known for its crafts and local food. 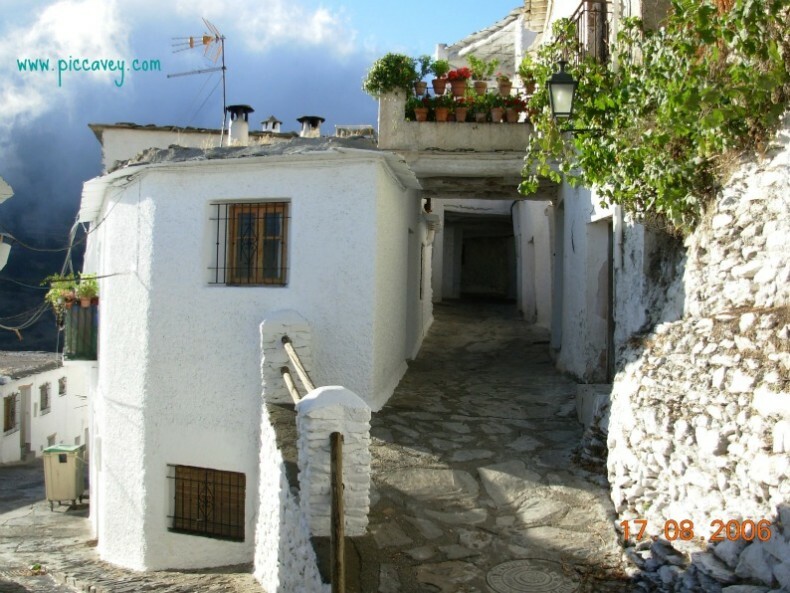 How to visit the Alpujarra? Drive to Lanjaron which is the first main village on the route on the Granada side. Then drive up to Pampaneira, Capileira and Bubion which are the most charcteristic locations in the Alpujarra. From the Almeria side head towards Ugijar. The roads are high and have many curves. It takes quite a long time to drive from one village to the next. A weekend in the region is recommended or a day trip from Granada. When did I visit: Ongoing. I travel to these villages every few months to have lunch or buy some local honey or pastries. Have you made a visit to any of these UNESCO sites in Andalucia yet? Great list. 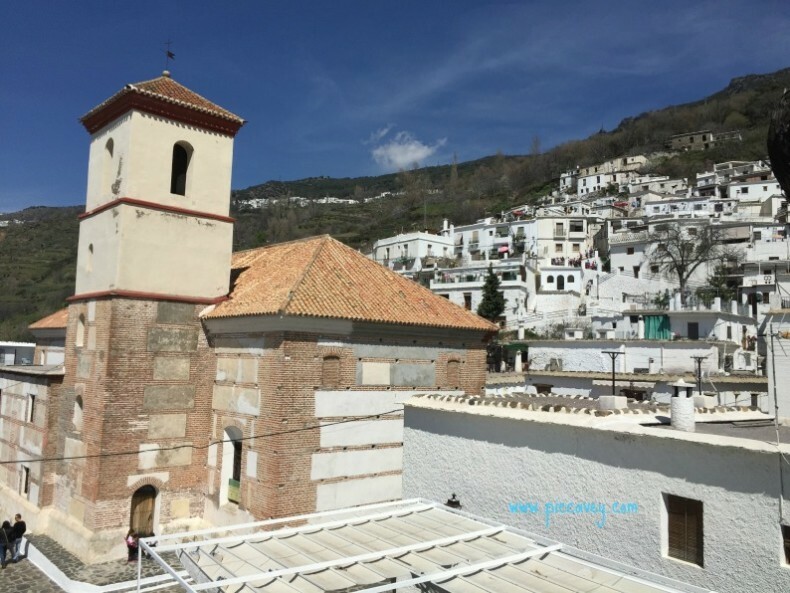 Andalusia is actually my favourite region of Spain so reading your post brought back many memories for me of driving through the Sierra Nevada – it’s a shame we missed this villages you recommended but I’ll keep them in mind for next time. Granada and visiting the Alhambra are obviously top of any Andalusian list so glad you pointed them out. Although it’s not a UNESCO site try make it to Ronda next time you’re in Spain. P.S great photos too! Thanks Bryony. I just love all the historic and cultural sites in Spain. I have visited Ronda lots of times as I live in Andalusia. However I need to revisit as it´s been over a year since my last trip. Recently there are lots of new wine producers to investigate in the area. Good excuse for a day out. Great post! I didn’t know there were so many UNESCO sites in Andalucia. Thanks for the detailed tips, will definitely use these when I visit Andalucia. Thanks Maartje, Glad you enjoyed the read. yes that´s right. So exciting that Andalucia could have 8 sites in the near future! I`ve briefly visited in November and I wish I would have seen this post sooner. Unfortunately I haven`t got a good experience with South of Spain (Malaga in special) but I couldn`t connect with the local culture and food so this must have been why. I think I`ll return one day and visit it properly! Andalusia is a huge region with lots to see, but yes if you have limited time, best to plan ahead. I hope this information is good for your next trip Daniela. Wow! 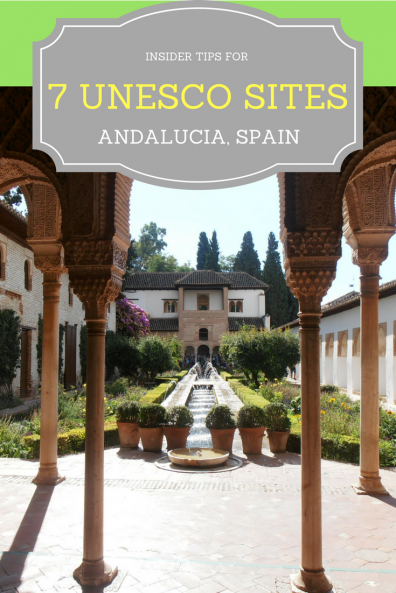 I had no idea there were so many UNESCO sites in Spain let alone in Andalucia! Wonderful post! Thanks Danielle, so lucky to have all these locations on my doorstep. Of the 45 sites in Spain I´ve seen about 24 of them, so still halfway. Whenever i hear about Andalucia, first thing that comes to my mind is the novel, ‘The alchemist’. The shepherd boy in the book who lived in Andalucia…such a great book!! Anyway great post!…i love spain soo much and hoping to visit few of the UNESCO sites in the coming years.. so far i have seen no.5, works of gaudi (La Sagrada Familia). I had an opportunity to visit Toledo when we were in Madrid couple of days but i overslept hence messed up the plans! 🙁 regrets soo much now..
Andalusia has been around for centuries and will wait for your return visit. Toledo and Gaudi works are beautiful sights to see too. I´ve visited both myself. Hi Molly! thanks for this list of UNESCO heritage sites in Spain. Looks like I still have to visit many of them! So far I’ve only seen Granada and Cordoba in Andalusia, the Serra de Tramuntana mountains in Mallorca & Gaudi’s artwork in Barcelona. Didn’t even know it was UNESCO! Yes Hannah that sometimes happens to me, I visit somewhere and discover it´s UNESCO W.H after my visit. Thank you so much for this post! I’ll be visiting Andalusia in a week or so and this was very helpful! It looks absolutely beautiful!